Statewide, California Democrats enjoyed another dominant Election Day. But at the national level, a much different reality has set in for the party’s Golden State representatives. Generational turnover, retirements and a slow but steady erosion of public support have all undermined California Democrats’ position in Congress. The changes have created a significant possibility of a political shakeup to come. Although California’s congressional Democrats have made a substantial mark on politics, their vigor has run up against one obstacle that even popularity can’t remove: Age. Sen. Barbara Boxer and former House Speaker Nancy Pelosi both turned 74 years old; Sen. Dianne Feinstein turned 81. Traditionally, younger legislative leaders have not had to worry much about unfavorable election cycles that leave them in office. For Boxer, Feinstein and Pelosi, however, their decades in office have left little time to wait for Democrats to recover Congress. As the San Francisco Chronicle reported, while Pelosi has determined to press on as House Democratic leader, Boxer and Feinstein must both surrender influential positions they have likely lost the opportunity to recover. Boxer has lost her control of the Environment and Public Works Committee. Even more important, Feinstein has had to surrender her control of the Intelligence Committee. Although some Republicans, such as Sen. Rand Paul, have led observers to think Feinstein’s interest in oversight of the CIA and other agencies will be maintained or even expanded, the loss of her prominence has reminded Democrats that the generational turnover created by this month’s GOP wave could well be permanent. Boxer did not cite any polls, but her remarks underscore that most Californians have begun to consider it’s time for fresh representation. In new polling conducted by USC Dornsife and the Los Angeles Times, in-state voters have indicated that Feinstein’s future is also at stake. According to the Times, nearly 60 percent of registered voters preferred that both senators be replaced next time around, saying California “would be better off with new candidates for the two seats.” Perhaps predictably, a preponderance of respondents who identified themselves as Republicans agreed — almost 80 percent. “But even many Democrats said it was time for new representation,” reported the Times, with 44 percent preferring new candidates — more than the 43 percent that favored Boxer and Feinstein again. Few political analysts suggested that Boxer, Feinstein or Pelosi have become politically weak. Pelosi’s fundraising prowess and the established electoral advantage of California’s senators would be too daunting to overcome even for a Democratic primary challenger. Nevertheless, more plausible candidates from both parties could emerge over the next year if and when it becomes clear they would run for open seats. Meanwhile, congressional Democrats have gone out of their way to indicate a willingness to work constructively in the new GOP-led political landscape. 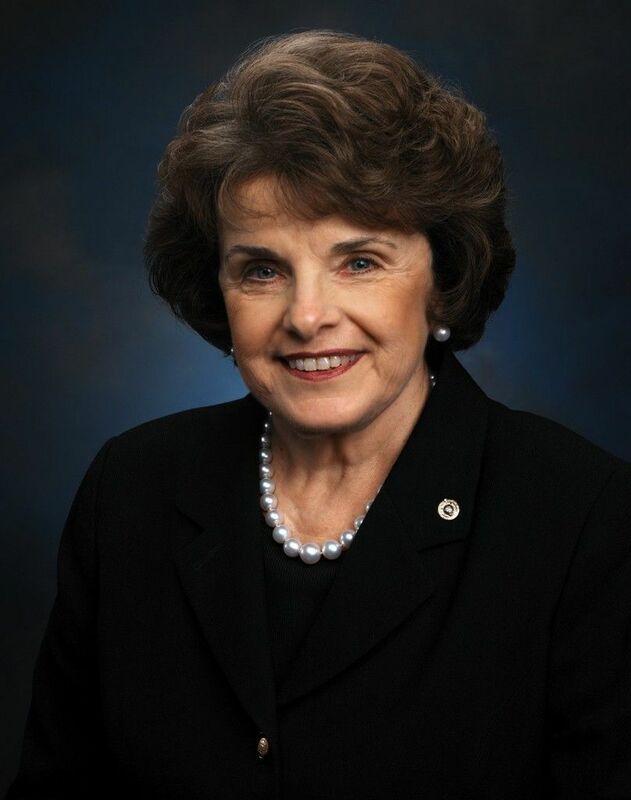 Feinstein recently pronounced her respect for incoming Intelligence Committee chair Richard Burr, R-N.C.
And Boxer was able to work with her replacement, James Inhofe, R-Okla., on a previous transportation bill, according to Southern California Public Radio. With GOP Rep. Kevin McCarthy set to return as House majority leader, California Democrats have set their hopes on playing a role in legislation by keeping attention focused on statewide issues that matter to Washington. Letitcollapse you are probably right. I hope not. Hopefully there will be enough Republicans that can make a difference. How much money do you think Di-Fi has spent on her face and hair over the last 40 years (to include plastic surgery, make-up, colorings, botox, etc…)? A couple mil? No, I’m not exaggerating. I pay $7 for a haircut. I bet she pays $400 and doesn’t even bat an eyelash. Both she and Jerry Clown need to retire together and walk off into the sunset. Maybe they could join a peaknuckle club for the elite at some Montecito old folks resort and reminisce over the days of ‘free love’ and ‘Chubby Checker’. The wiring in both their heads is going bad and it’s time to hang up the gloves. I don’t want a bunch of people leading my nation who spend half the day looking for their car keys. At least, learn to spell, “pinochle”! HeeHaw, I bet you vote for Crimestein and Boxer for the next 100 years. Just look at Crimestein…100 years old and not a grey hair on her head…she will live forever. Gee, with modern medicine, singularity, Pelosi could serve another 100 years. Just her head on a stick balanced on a Segway. Maybe Bill Clinton would run in Cal, just his head and his (what rhymes with stick) on a Segway. Crimestein will live forever, just like Fidel Castro. Old Demoncrats never die…they don’t even fade away. Crimestein is just like that stain in my carpet…nothing will ever remove it…it’s there forever…just like Crimestein in the Senate. Word is out Brown, Fiestein and Boxer face images will be carved into Half Dome. Bobo time to call for reservations. So they change the name to Half Wit. Harry Reid, Slimestein and Babs should retire together and do a TV sitcom calling it “Harry’s Girls”. Harry could wear a wide-brimmed peacock hat and drive them around SF in a pink Cadillac in search of desperate generous Pentagon and Wall Street lobbyists, letting the girls work their magic. I bet it would be the biggest hit since “Maude”.